Brother reviews brother. Oh, Brother! THIS novel is an epic detective story of more than 400 pages. Private investigator Steele Hill is a larger than life character who has the happy knack of being there when the action is happening. His world is peopled with crooked cops and shady types in the gambling and horse racing industries. The book describes some of the events happening in and around Brisbane from 1986 to 1992, including the music and musicians of that time. It also gives the reader an insight into the political events which were occurring around the globe at this time. You expect a number of surprises in a detective story and this novel has many including the basis for the title name. If you like a long entertaining story, with plenty of salty language, this is the book for you. 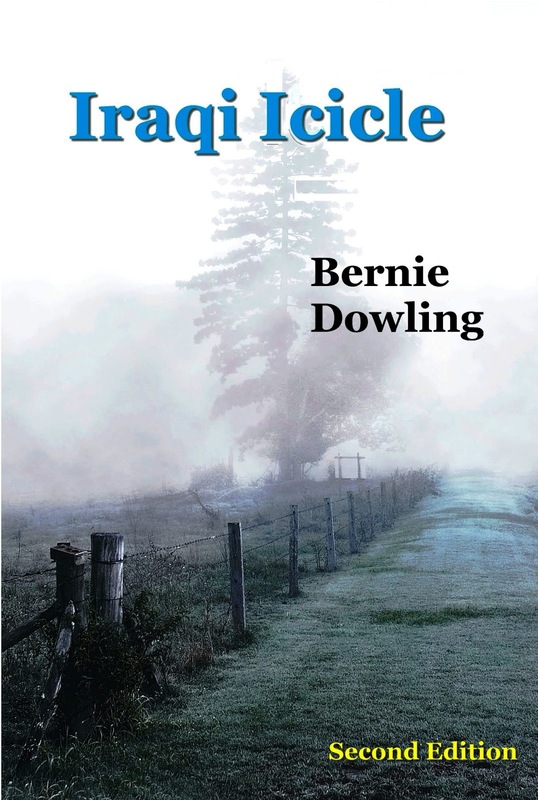 Mr Dowling is the brother of author Bernie Dowling. You know you not going to get 5 Stars from your brother and I am kind of glad. Readers are rightly wary of books with heaps of five-star reviews but with a sprinkling of most plausible one-star reviews as well. The biggest challenge for eBooks is reliable curation or critical gate-keeping. Personally I think you should take my word for it that Iraqi Icicle is a good book. That way, you can buy it and write your own glowing review. You, on the other hand, may be looking for a different path of decision making. Iraqi Icicle Second Edition is out now! Labels: Aussie humor, Bent Banana Books, Bernie Dowling, Book review, detective thriller, humor.